6/29/18] Time for something a little different. This time, I took some time to visit an Airpark that is located within Camp Santiago grounds in Salinas, Puerto Rico. 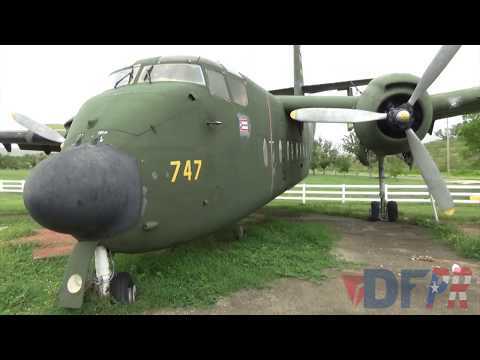 This small park features historical aircraft that were previously flown by either the Puerto Rico Air National Guard or the Puerto Rico Army National Guard. As you can tell, there are still evident sustained damages from Hurricane Maria still visible in most aircraft, as they took the full frontal force of the storm.